Business leaders, community advocates, and Congressional champions for Wild and Scenic Rivers from all over the country filled REI’s flagship store near the U.S. Capitol in Washington D.C. on Wednesday night to celebrate free-flowing rivers and call on Congress take action and pass the pending Wild and Scenic bills before the end of the year. Senator Wyden speaking about his Oregon Wildlands Act. The event builds on the momentum created across the country by the recent 50th anniversary of the Wild and Scenic Rivers Act for new Wild and Scenic designations for rivers such as the Hoh on Washington’s Olympic Peninsula, the Nashua in Massachusetts, the Gila in New Mexico and the Molalla in Oregon. We were fortunate to have such a strong turnout from members of Congress. Senators Maria Cantwell of Washington, Tom Udall of New Mexico, Ron Wyden of Oregon, and U.S. Representatives Don McEachin of Virginia and Kurt Schrader of Oregon shared their river stories and their support for Wild and Scenic Rivers. 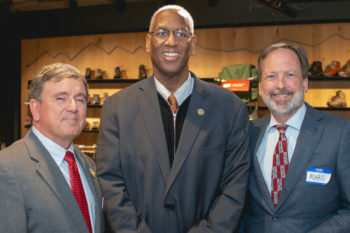 American Rivers President Bob Irvin, Congressman Donald McEachin and REI Foundation President Marc Berejka. Senator Cantwell, the ranking member of the Senate Energy and Natural Resources Committee which is in charge of Wild and Scenic River designations, talked about the beloved Wild and Scenic Skagit River and her work to protect the Wild and Scenic Upper White Salmon River. 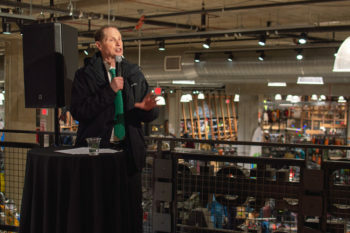 Senator Wyden, who has championed more Wild and Scenic Rivers than any other member of Congress, stressed the value of river conservation for recreation and Oregon’s economy. 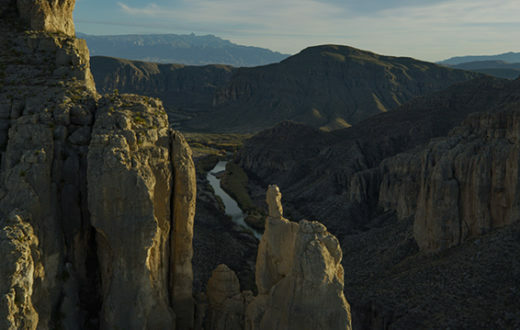 Senator Udall recalled his trip on the Rio Grande, featured in the film 5,000 Miles of Wild. 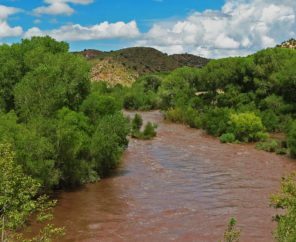 He talked passionately about his deep connection to wild rivers and wild places and the need to work with local stakeholders to permanently protect the Gila River. 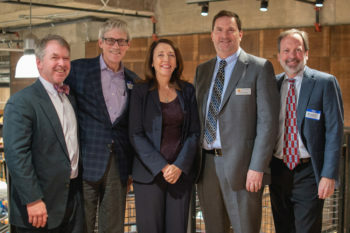 Senator Cantwell pictured with REI’s Marc Berejka, American Whitewater’s Tom O’Keefe, Pew Trust’s John Gilroy, and American Rivers’ Chris Williams. Outdoor industry leader REI hosted the event and has been a major supporter of Wild and Scenic River conservation. Other outdoor brands were at the event in full force. NRS, KEEN Footwear, Arcteryx and others are in town with the Conservation Alliance to lobby on behalf of Wild and Scenic River and other public lands bills. 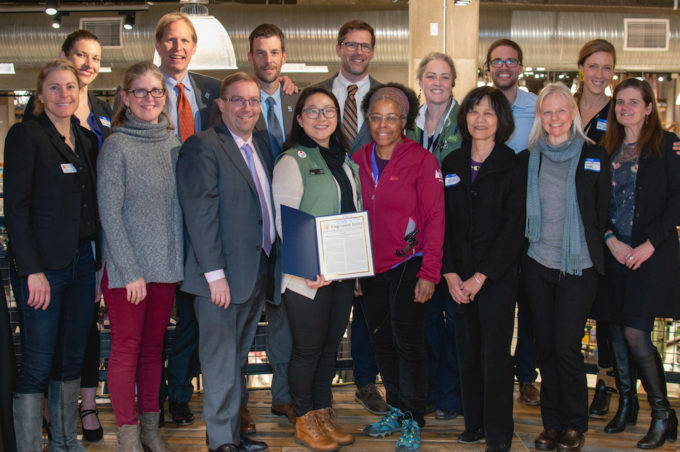 Fittingly, even the beer at the event had a Wild and Scenic connection as Deschutes Brewery — named for the famous Wild and Scenic Deschutes River in central Oregon — generously provided beer for the evening. 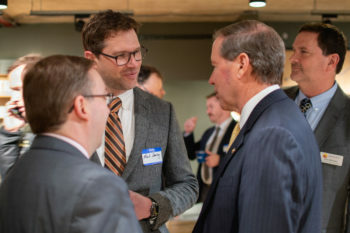 NRS Marketing Director Mark Deming talks with Jim Bradley of American Rivers and Senator Tom Udall. 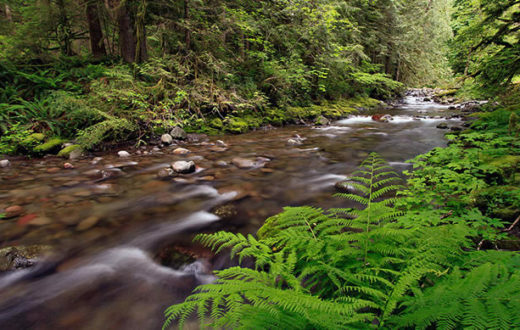 The bills currently pending in Congress that include new Wild and Scenic River protections total over 1,000 miles and 350,000 acres of riverside lands and include the Oregon Wildlands Act and the Wild Olympics. 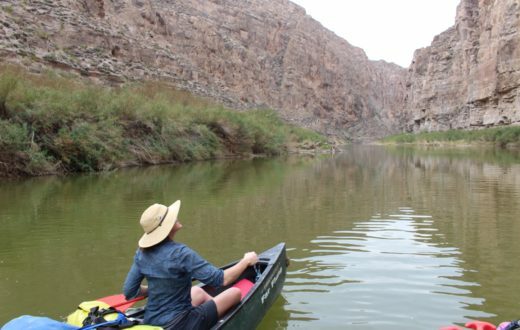 All of these bills are a part of the campaign to protect 5,000 miles of new Wild and Scenic River protections and 1,000,000 acres of riverside land and build a nationwide coalition of local groups and businesses to advocate for free-flowing rivers by October 2, 2020. The campaign business partners include REI, NRS, YETI Coolers, OARS Outfitters, Chaco, Nite Ize and KEEN Footwear and non-profit partners American Rivers, American Whitewater, Idaho Rivers United, and Pacific Rivers. 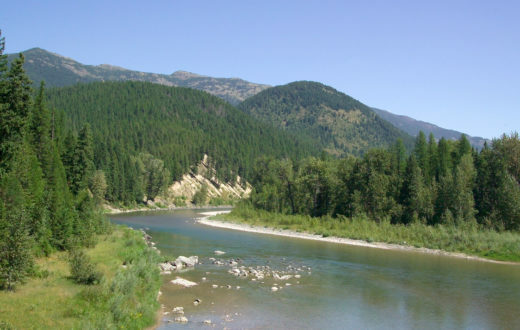 With the designation of East Rosebud Creek in Montana in August we’re already on our way! 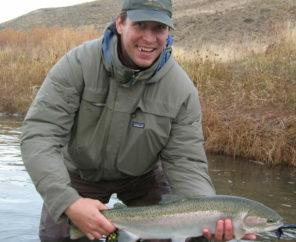 You can become a part of the campaign too by going to www.5000miles.org to tell your river story and take action.